You will be given a reference e-book to read which has 779 pages And the test will be based on that e-book , you can take final test within 1 year of purchase. An operating system is considered as one of the most vital programs that operate in a computer. It should be noted that all general-purpose computers come with their own operating systems as a means of running various programs. This system actually performs numerous tasks including the process of identifying inputs that come from keyboards, delivering output into the display screen, taking complete control of peripheral devices including printers and disk drives and monitoring directories and files stored on a disk. It is also important for you to remember that if you are using a larger system, then you need to use an OS which is capable of performing more responsibilities and is more powerful. A more powerful OS makes sure that the multiple users and programs that tend to operate all at a similar time will never interfere with one another. It is also important for you to note that an effective and powerful operating system is also concerned about security and it works by guaranteeing that all unauthorized users cannot just easily access a certain system or program. Operating systems also comes with numerous classifications. One of these is the multiuser which permits more than 2 users to operate programs all at the same time. There are even operating systems that allow hundreds of users to run the system. Other major classifications of operating systems are multitasking, real time, multithreading and multiprocessing. The operating system certification program which you can now easily access at Brainmeasures is the most ideal online certification course for you if you strongly desire to understand everything about running operating systems. What makes this operating system course amazing is that it is well-detailed and complete. It gives you the chance to undergo an operating system training which is guaranteed to work in your attempt to understand all aspects related to running an operating system including its different versions and their individual functions, its different classifications, the major roles that they play in efficiently running a program, basics of choosing the best OS for your unit and the different remarkable features that form part of the most popular versions of operating systems at present. Your decision to earn an operating system certificate is extremely beneficial for you since it proves that you have a stronger background and a higher level of competence in utilizing the different OS versions. How distributed file systems work? 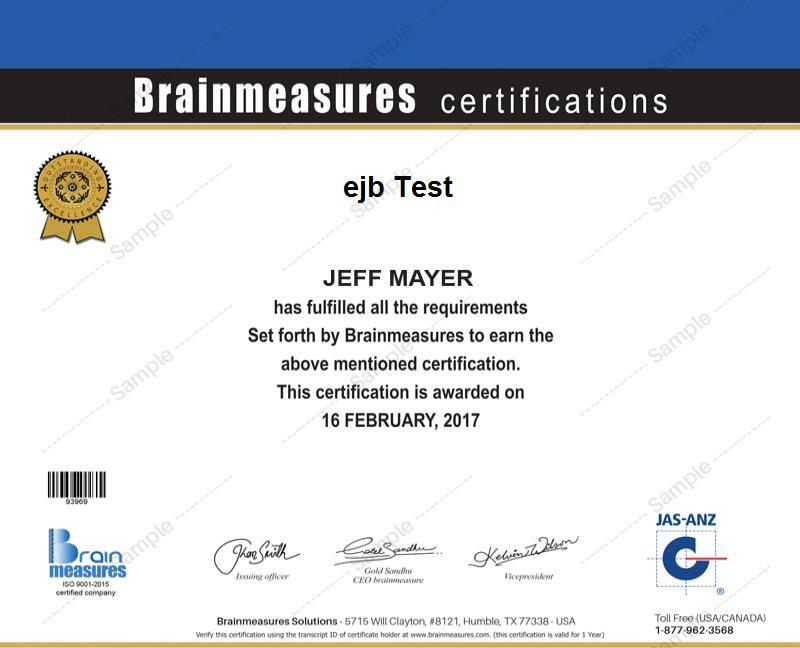 The operating system certification program which is introduced by Brainmeasures to the public increases the chances of everyone to understand how different operating systems work. This online certification program targets web developers, programmers, engineers, webmasters, designers, administrators and other professionals who are more focused on using operating systems on a regular basis. After you earn your operating system certification, you can easily enter the operating industry and get jobs that offer a more stable pay. One of these jobs is the operating systems analyst which gives you the opportunity to earn around $44,000 to $99,000 annually. Using your certificate to work as an operating systems administrator entitles you to receive an annual salary within the usual range of $68,000 to $115,000.